"THE CLEAR CHOICE FOR GLASS"
MARCO GLASS & MIRROR Corp. started business in 1992. The owner, MARCO LARICE, takes great pride in his work. He personally estimates each job and is present on all job sites while work is being performed. He only performs one job at a time. Most of his business is from previous satisfied customers and recommendations.Extra Phones: mobil: (786) 285-5555 Services/Products:Since it was founded, MARCO Glass has been working with home and business owners to satisfy their glass needs. The trained professionals at MARCO Glass are ready to assist you with any glass service or product you may require for your home or office. Storefront Glass, Custom Mirrors, Glass Replacement, New Fabrication you name it we can handle it. If you are looking for a particular item and don't see it listed throughout our website, please call us. If it's glass, we will probably do it. WEST DIXIE HWY. AND 125th St. N. Miami, fl.33161 by appointment only. MARCO Glass & Mirror Corp. are ready to assist you with any glass service or product you may require for your home or office. Storefront Glass, Custom Mirrors, Glass Replacement, New Fabrication you name it we can handle it. If you are looking for a particular item and don't see it listed throughout our website, please call us. If it's glass, we will probably do it. We used Marco glass for a shower enclosure, as well as tinted UV film for our windows. From start to finish one of if not the best experience we’ve had with a S. FL service provider throughout our entire condo guy rehab process. Marco glass was a pleasure to deal with, extremely professional, helpful, friendly, always on time, and provided outstanding services in all aspects. Highly recommended. For my glass shower door .. very professional crew and installation. Polite, on time and protected my home with padded drop clothes. The installation team was very experienced who paid close attention to detail. They handed over my new shower door looking perfect. The owner, Marco, showed up at the end of the job to inspect! the interior windows installed had metals cut short they have a gap on the sides and my client is complaining, I had been promised a solution and I am waiting. I order a mirror for another job and I was left waiting and I had called them multiple times, where is my mirror ? I priced shopped and found this company to be competitive. Marco seems extremely interested in doing the job right and is fastidious in measuring. Fast, efficient and prompt. (And they cleaned up after themselves.) I would highly recommend. Professional team, the front desk gave me fast service and Marco did an excellent job for me at affordable price in my house 2 months ago, he's very professional and nice friendly man. He is very knowledgeable about the glass business and his team know what they are doing. The installers arrived on time and did a fantastic job in my house. We are very satisfied with the work and highly recommend them. This Saturday, again, I went to the office and the secretary was very kind and helpful to help me choose which glass I need for my shower now, price me and schedule estimate time for me. She is very formal and speaks very highly of boss & team. Yes I will recommend Marco Glass & Mirror to anyone that is needed of glass and mirrors, windows. Our company recently worked on a project in Miami where we inadvertently broke windows in several older 1-story Miami residences, 2 commercial buildings and 1 brand new, high-end condominium. 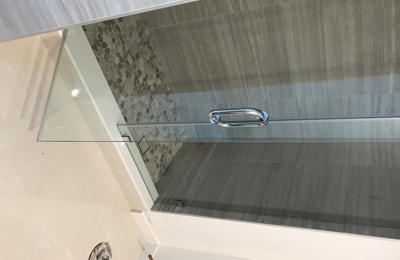 Marco Glass did an amazing job of working closely with the property owners and personnel at each location and ordering the standard or special glass needed to effect the repairs. Marco communicated often and clearly with my company, the general contractor, condo maintenance representatives, commercial property maintenance managers and private property owners throughout the process. I cannot imagine any other glass company providing a more comprehensive and professional service than Marco Glass did every step of the way. Marco and his team did an excellent mirror installation at my place twice. I found them on the internet and called to schedule an appointment for estimate, receptionist was very polite and professional, she kept me update with every single information, when the workers will show up and when the mirror will be install. Marco is extremely knowledgeable in his field, and gave me best of all the prices with a great job for me. The workers showed up on time, did an efficiency job and cleaned up after installation, last glass company I called did an horrible job, my husband and I had to repaint our walls but Marco Glass team was nice and neat with the installation. Thank you Marco for your service. 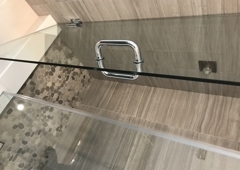 I would like to recommend Marco Glass & Mirror, to anybody that is looking for a mirror or shower enclosure installation service, for their home or business. Marco did a great quality job and at a reasonable price. On site doing his own installation. Marco and his team did a fantastic job. they were on time and did a great installation. In South Florida it is very hard to find a company that lives up to what is promised,. These guys are awesome, they totally saved our butts in a pinch and got us a large custom cut mirror we needed within a few hours; they included delivery which is more than I can say for a lot of other places I called, it was cut perfectly, showed up on time and totally reasonably priced! I own a High-Rise window cleaning company in Broward. While working in one of the buildings in Miami we accidentally broke the glass of a window. I called Marco who in spite of the short notice came to the rescue and provided myself and the unit oner excellent customer service and a great professional glass replacement. Marco delivers excellence in customer service. He is eager to do the work right the first time. As a Professional Engineer,I noticed how he took measurements and draw the sketches to accomplish the work. He completed the work on schedule and checked that the two frameless shower enclosures were installed correctly. I highly recommend Marco because he is an honest, hard working professional that is proud of his work and delivers quality work and materials. Marco was very patient, understanding, and very knowledgeable about the specific glass and modern frameless showers I wanted. He took his time to explain the details about each product lines for me to make my best decision. This is what sold me to use Marco for all my glass needs for my house. Soon I will be using the Marco Glass team for my business buildings. I high recommend Marco Glass & Mirror. Marco and his staff are very professional and experienced. I was provided with fast service am greatly satisfied. It was a pleasure doing business with Marco! I highly recommend Marco Glass & Mirror. Marco and his staff are very professional and experienced. I was provided with fast service and am greatly satisfied. It was a pleasure doing business with Marco!